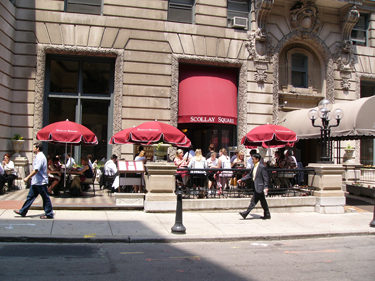 Scollay Square is a warm, inviting restaurant serving American comfort food at a reasonable price with a sophisticated cocktail list. It is a local neighborhood bistro style restaurant that is a great meeting place for friends and small groups to eat, drink and socialize. Mouth watering daily specials complement the new menu. We also feature a three course menu for $22 every night of the week. Come join us weekdays for lunch, any night of the week for dinner and Sundays for brunch and our famous "Make Your Own Bloody Mary Bar" atop historic Beacon Hill.